The volume commemorates an unusual textual experiment tried out with the Natyasastra at a seminar held in New Delhi some years back. The seminar was organized by the Sangeet Natak Akademi under Shri Girish Karnads chairmanship and jointly convened by the late Professor K.J. Shah, Wittgenstein scholar and Professor of Philosophy at Dharwad University and Dr Amrit Srinivasan, Professor of Sociology at the IIT Delhi. Brought together now for the first time are the papers presented at the seminar, along with Professor Shahs working translation of the First, Sixth and Seventh Adhyayas of the Natyasastra, specially prepared for the event. Over and above the specialist concerns, the volume provides delightful food for thought even for the lay reader and public alike, by presenting to them one of the most original and difficult works on theatre anywhere, in the familiar language of disciplines such as philosophy, history, sociology and indology. Today, the vast expansion of interest in India’s “intangible cultural heritage in diverse settings of learning has created new needs. 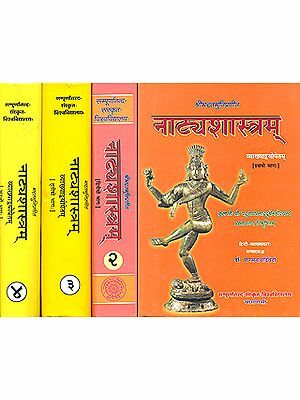 The volume attempts to meet these by inviting well wishers and practitioners of the arts to introspect and reflect on their practice, through the medium of Bharata’s Natyasastra, presented for their delight on these pages. Amrit Srinivasan is Professor of Sociology at the Indian Institute of Technology, Delhi. Trained at the Delhi School of Economics and Cambridge University, she has a long-standing interest in the field of knowledge and culture. Her pioneering work on the Indian performing arts is part of a larger initiative today, which seeks to bring everyday material practice and technology use, into the centre of academic social science and policy debate. When in 1990, the late Professor K.J. Shah and Dr Amrit Srinivasan approached the Sangeet Natak Akademi for financial support for a seminar on the Natyasastra, I, as the then Chairman of the Akademi, was so excited by the proposal that I decided the Akademi would shoulder the responsibility for the entire enterprise. I was of course aware of other seminars that had previously taken up the venerable text for study, but the design of the seminar proposed by Shah and Srinivasan was unique and seemed to open up ways of understanding the text that had not been explored before. Most significantly, they did not merely wish to look at the Natyasastra as a manual of performance arts or as a textbook of dramatic aesthetics; rather, they wished to investigate the ethical assumptions that informed its argument and held it together as a coherent philosophical text. In many discussions on Indian aesthetics today, so much drivel about rasa and bhava is churned out by those keen to establish their rootedness in traditional thought, that one cannot exercise too much vigilance in analysing these concepts. It was therefore inevitable that the primary purpose of the seminar would be to examine the sixth and seventh adhyayas, which propound the theories of rasa and bhava, afresh and in detail. But the seminar sought to go beyond this limited objective in order to explore the manner in which the discussion of these concepts flowed out of the meditation on the nature and purpose of drama in the first adhyaya. This adhyaya, which deals with the birth of drama and contains Brahma’s definition of its nature and purpose, is often dismissed as being tangential to the main text, but the seminar sought to explore its integrality to what follows. As Shah put it in his seminar address, the Natyasastra does not underline delectation as the sole or even the main purpose of the performing arts; it is the ability of these arts to enhance one’s understanding of life that makes them so important. The audience, by watching the performance and thus by participating in it, accepts the responsibility of making a more meaningful life possible for everyone in the society. Such a reading immediately helps to bring out the centrality of this text in the larger network of other classical texts. In effect, while concentrating on the Natyasastra, the seminar aspired to identify the ethical values underpinning an entire classical intellectual heritage. During the proceedings, a couple of participants commented on the absence of actual performances accompanying the discussions. It was commented that since the Natyasastra is the most ancient and most complete text we have on performance practice, it might have helped to have performances—whether of ‘classical’, traditional or folk forms—going on concurrently, illuminating the discussions. I, however, strongly felt that such parallel placement of textual study and performance would be misleading, suggesting that the art forms current today have a continuous and direct connection with the forms referred to in the Natyasastra, an assumption that needs to be proven rather than taken for granted. It would also have led to the downplaying of the regional, non Sanskritic elements that may have gone into the shaping of the forms chosen for presentation. But most importantly, these performances would have distracted from the essential purpose of the seminar, which was to take the history of our performance practice as given and to focus on the structure of the written text. It was with this goal in view that academicians, scholars and thinkers from other disciplines were also invited to participate in the event. This emphasis on close reading proved most stimulating, generating rich and unexpected insights. There were dissents. But the dissonance only underlined the success of the seminar in generating a lively debate, which often revealed the living and contemporary relevance of the Natyasastra. It is sad that Shah did not live to finish the editing of the material for publication. But Srinivasan has been at it since and I need scarcely say how delighted I am at the volume now being published by the Akademi. I should also like to record here my appreciation of the energy and dedication with which Usha Malik, the Secretary, and the rest of the staff of the Akademi toiled for over a year, to ensure the success of this immense enterprise. The volume addresses a fundamental dilemma — how to do justice to indigenous knowledge traditions and practices in the field of Indian culture. More specifically, how to enhance the understanding of natya—the Indian performing arts of music, dance, theatre—as a field of analytical, university- based study and not traditional practice alone. The academic ‘invisibility’ of Bharata’s Natyasastra, a primary Indian source material on the performing arts, becomes significant in this regard. Dated not later than 2nd century AD, the Natyasastra is the earliest Sanskrit text extant on the subject but the materials on which it draws are pre-Panini (5th century BC) (Vatsyayan; 1996). The issue has assumed wider significance today in the context of global Intellectual Property debates where diverse forms of cultural expression are being deemed an “intangible” component of our shared human heritage, requiring some form of legal protection (Gupta; 2003). The scrutiny of indigenous, public domain textual knowledge in the light of international patent classifications has already begun in Indian scientific research establishments with reference to Ayurveda medical texts like the Susruta Samhita and the Caraka Samhita dating to the pre-Christian era. The Traditional Knowledge Digital Library (TKDL) is an ongoing Government of India project which has made over 36,000 Ayurveda formulations available in a database in various international languages, to prevent misuse of indigenous knowledge in global patent claims (Gupta; 2002). Whatever the motivation, commercial, technological or legal, the widespread documentation, classification and deciphering of India’s texts is clearly on the cards. What this volume attempts to do however is different in that it seeks as a first step to examine the Natyasastra in and for itself without subjecting it to analytical techniques more familiar to the modern Indian university, patent office or science lab. Presumed in this method is an epistemological principle that examines the integrity and coherence of the Natyasastra, within an internal, indigenous understanding of what it means to be a ‘text. Contemporary textual critiques, most notably the Deconstructionist would question the’ very possibility of such an exercise. But these methods can only constitute a second step in the textual strategy outlined here. Certainly the task is not an easy one. The expectation that we guarantee an indigenous text in terms of some other more universal knowledge system, operating within a recognizable disciplinary force field, looms large in Indian academia. But to succumb to its demands is counterproductive in a project of this kind, because it presumes the division of local form from content even before examining the textual evidence. The Natyasastra’s own indigenous categorization as a prayoga (performance, commonly and erroneously translated as “practice”) text, has not helped it very much in the matter. Scholars on the basis of this classification alone have defined it as more of a handbook or compendium of practical rules for the arts—music, dance, theatre—and their presentation on stage, lacking in serious academic or scholastic possibilities. For both the above reasons, it is Abhinavagupta’s much later analytical commentary on Bharata, the Abhinava Bharati (11th century AD) and not the original text, which is deemed theoretically significant and hence capable of making a serious contribution to the academic disciplines of Indian Aesthetics and Philosophy in general. But what if Bharata’s text does not divorce its contemplation on the life of performance from that of the mind, through the connecting term of life in the world? What if a flexible relationship illumines the concept of prayoga, linking knowledge and experience or action and thought, in the diverse realms of theatre and ritual and even human conduct? Then to reject the Natyasastra’s epistemological possibilities while continuing to acknowledge its highly distinctive and original ‘cultural’ content would be paradoxical indeed. But this is precisely what continues to be the case. The separation of theory from practice at the level of the text is mirrored in the institutions providing education in the ‘classical’ performing arts. Here the better considered impart only professional skills and training in the arts and operate almost entirely from outside the university, in isolated schools and institutes, usually devoted to a particular branch or style of performance. Their syllabi thus remain completely segregated from the multidisciplinary subject milieu typical of the modem university. The conveying of skills without any examination of their underlying theoretical grammar and knowledge base has been to the detriment of both. Conversely, when the performing arts do get included in the university as subjects of degree-based study, professional training is either absent or suspect. This dichotomy has willy-nilly tended to keep the nation’s scholastically inclined student away not only from the practice but the study of Indian performing arts. The abstract and visual arts of Indian music, sculpture and painting, though accommodated in most university systems, have also suffered through their segregation from the teaching of performance traditions with which they have a cognitive link. The relative absence of locally produced academically rigorous course materials on the theory and practice of natya is particularly noticeable today in the fast-changing and expanding Indian arts education scenario worldwide. The demand for such material is especially high amongst middle- class expatriates. Not surprisingly, a huge body of literature on the subject of the Indian performing arts is being produced by the “Cultural Studies’ approach of US academia itself. The more specialized, historical perspective of Indology too has got a fresh lease on life with global forces encouraging expatriate education in Indian culture. Both disciplines however are not at present on offer for degree programmes in the Indian university. It is privatised education, which is offering students more flexible and interdisciplinary, marketable programmes of study in the arts. Premier institutions like the University of Delhi have responded by re-structuring the Bachelor’s programme to make it more “relevant” to the world of work and opportunity. Significantly, subjects like “Theatre and Performance,” “Film Studies” and “Indian Classical Music” are now on offer as part of a general B.A. education. 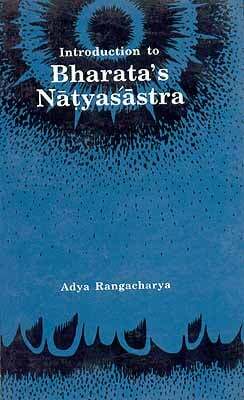 The Natyasastra in translation (Rangacharya; 1996), figures for the first time in the reading list of Delhi’s undergraduate liberal arts programme (2004: 127-146). In a reverse move, premier dance-training schools like The Rukmini Devi College of Fine Arts, of the Kalakshetra Foundation in Chennai, is seeking to academically upgrade its curricula, even though it functions as part of the Ministry of Culture outside the structure of formal, degree granting institutions. Both these forces unleashed by the expansion in the privatization of education have only deepened the gap between demand and supply of academically confident textual material on the Indian performing arts. Viewed in this light the Seminar on “The Natyasastra: Text or Context?” organized in 1992 by the Sangeet Natak Akademi (SNA) was quite ahead of its time, because it sought to explore a Key Text such as the Natyasastra for its academic contribution to modern Indian thinking on the arts. It was with enthusiasm that the late Professor K.J. Shah and myself had accepted the SNA’s Chairman, Shri Girish Karnad’s invitation to convene the seminar. As university persons, both of us were eager to experiment with a primary text like the Natyasastra, which might show the direction for pedagogy in the Indian arts. The seminar also provided us with an opportunity through a particular example, to thrash out the methodological issues relating to the study and incorporation of Key Texts into the Indian University in general (Shah and Srinivasan; 1990). There had been other attempts in this direction but they had by and large remained restricted to single disciplines. K.C. Bhattacharya’s early (1919) paper on “Svaraj in Ideas” had taken up the issue in Philosophy (1984). Louis Dumont and David Pocock had set off a new approach to the Sociology of India by insisting on the need for establishing a “proper relation between Indology and Sociology” (1956). Professor Daya Krishna had tried out live dialogues between traditional Sanskrit scholars and modern philosophers in the service of the intellectual life of the country (1991). But no one had planned a holistic curricular strategy such as Professor Shah’s, for the entire corpus of Primary texts available to university readers in the public domain. Professor Shah’s close interaction with Ludwig Wittgenstein, his teacher and friend at Cambridge University also my alma mater, had already attracted me to visit him at Dharwad where he served the University for many years. His lecture notes on Wittgenstein (Geach; 1989), coupled with his work on Indian texts, in particular Bhrtrahari’s Vakyapadiya and Bharata’s Natyasastra had me intrigued, because together they demonstrated a method for teaching ‘traditional’ knowledge in the atypical setting of the modern Indian university. My own work on the devadasi of Tamil Nadu had already introduced me to the Natyasastra and I was eager to learn more. Especially since my discipline, social anthropology was silent on the Prayog sastra, indeed on most Indian texts other than the Dharmasastra and Itihasa/purana or Vedic ritual corpus. Significantly, the Natyasastra was ‘missing even in the Orientalist vs Sanskritist debates of the colonial period, which took antagonistic stands over the role of the texts in Indian education. Echoes of this ideological debate were to be heard in Indian intellectual circles, even at the time of the seminar, with the Sanskrit researches of institutions such as the Royal Asiatick Society of Bengal, started in 1784, being deemed romantic, biased and brahminical. But neither this corpus nor the more scientific Indology that followed after TB. Maculay’s magisterial purging of Indian education in 1835, considered the Natyasastra pivotal to the debate on Indian textual traditions. Controversy largely focused instead and continues to do so even today, on the literary, legal/normative, religious/ritual and mythic or metaphysical texts of the Sanskrit tradition such as the Vedas, the Manusmrti or the Ramayana and the Mahabharata (Sen; 2005). In a strange sort of way therefore, the very obscurity of the Natyasastra text heightened for me its heuristic value for the experiment being tried out by the seminar. Both Professor Shah and I agreed that to provide the basis for a new kind of thinking on the texts, the seminar had to demonstrate an academic method, which could renew student interest in the texts, free of any revivalist cultural agenda or specialist Sanskritist bias. The seminar consequently could not consider the Natyasastra in the domain of Indian Aesthetics or Sanskrit Studies or even art practice alone. We of course knew the vast body of work already done on the text by performers, dance scholars and critics alike. Indeed the seminar presumed the important nature of this contribution. We nevertheless decided to keep the multidisciplinary academic focus, in line with the nature of the experiment being attempted. This decision was the first step necessary we felt, towards filling the curricular gap on which a rigorous study of the Indian performing arts could build for the future. Accordingly, our speakers besides the two of us—Professor Mukund Lath, Professor K.D. Tripathi, Dr. Prem Lata Sharma, Professor Rekha Jhanji and Professor M.C. Byrski — were urged not to lose the specificity of their own disciplinary perspective and training when looking at the text. Their cooperation and commitment to retaining the focus of the seminar in their contributions went a long way towards its success. Our gratitude to them is warmly recorded here. The contribution of philosophy, indology, Sanskrit studies, history and sociology to the textual understanding of the Natyasastra, was evident at the seminar. Also in the discussions raised by eminent scholars and professionals who participated to make the event a success. Our gratitude to Dr Kapila Vatsyayan, Professor Daya Krishna, Professor Rajendra Prasad, Professor Ashok Kelkar, Professor RB. Patankar, Professor G.C. Pande, Professor Ramachandra Gandhi, Professor Ashis Nandy, Professor TN. Madan, Professor J.P.S. Uberoi, Professor Mohini Mullick, Professor C.D. Narasimhaiah, Professor K.T. Pandurangi, Dr Anupa Pande, Dr Anuradha Shah, Shri Bhaskar Chandavarkar and others and to the many young researchers and students who participated, is recorded here. The seminar’s depth and range of discussion was largely due to their contributions. The SNA for its own part provided a highly professional and conducive space for helping us achieve all we had set out to, making the Natyasastra accessible to modern scholarship, discussion and debate in the public domain. For this I thank Shri Girish Karnad unequivocally. As Chief Remover of Obstacles, he yet found time to participate and observe, lending tremendous value to the seminar’s deliberations. Today, with Professor Shah’s untimely passing away some years back, I can safely say that without his goodwill and faith in the project I could not have completed this volume. My debt to others at the Akademi runs very high as well. For seeing the project through to publication stage, I thank especially Shri Ram Niwas Mirdha, Smt Sonal Mansingh, Shri Jayant Kastuar, Smt Usha Malik, Shri Abhijit Chatterjee (who also helped locate the cover photograph) and Smt Varsha Das and other members of the publication committee. The remarkably free hand they have permitted me in giving the volume final shape is warmly acknowledged here. At home, Ashok and Sidharth encouraged me at every twist and turn in the volume’s progress, from seminar proceedings to printed page. I thank them for their love and support.